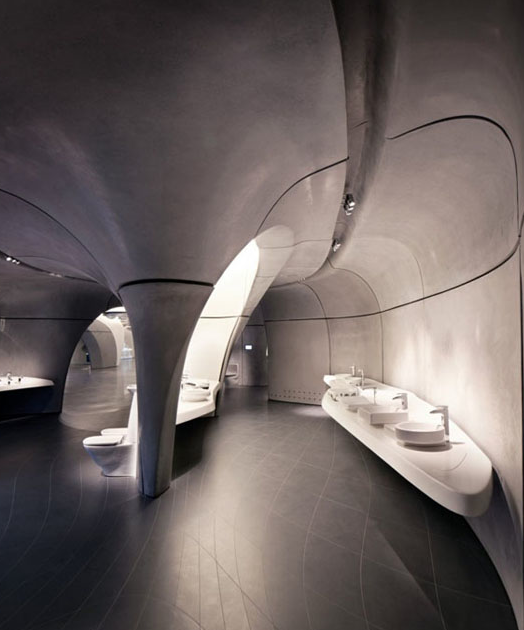 Roca, a Spanish sanitaryware manufacturing company recently opened a surprisingly innovative gallery space in London, where their products are displayed in the customized space. 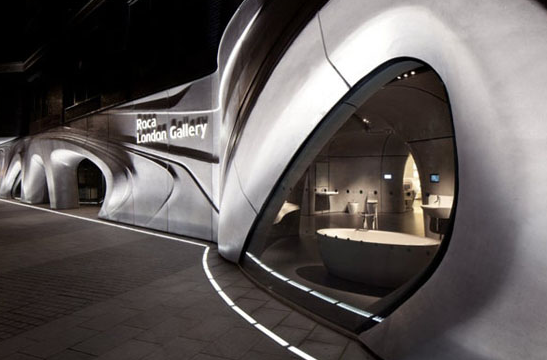 Roca London Gallery is located near Chelsea Harbour, London, and features a reception and lounge area with sinuous design lines that undulate towards semi-open zones for product displays and a meeting room space. 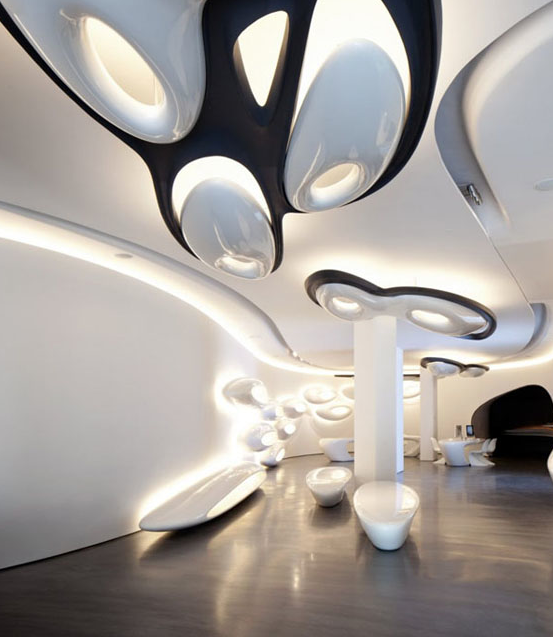 Modern plastic furniture and ceiling elements adorn the spaces, creating a futuristic look. 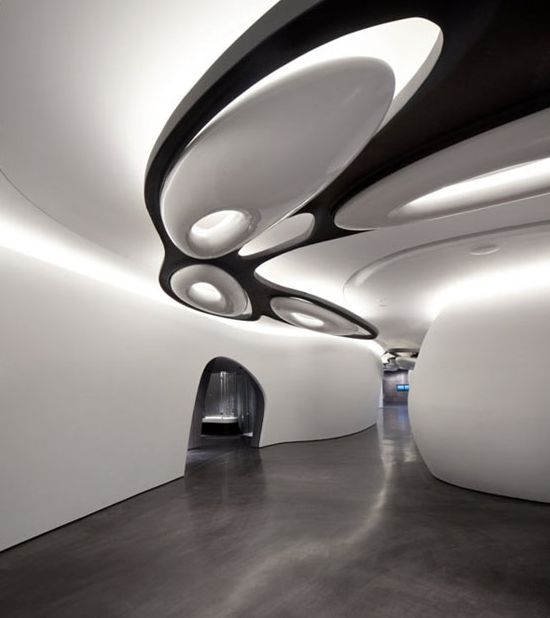 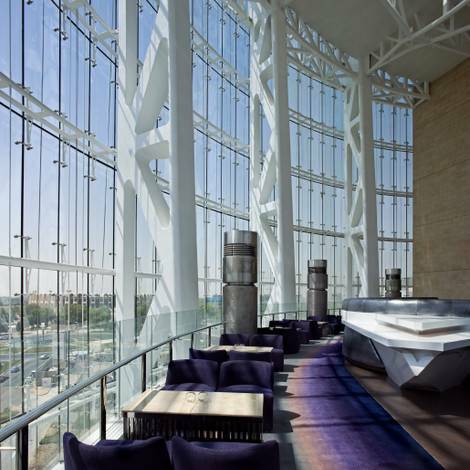 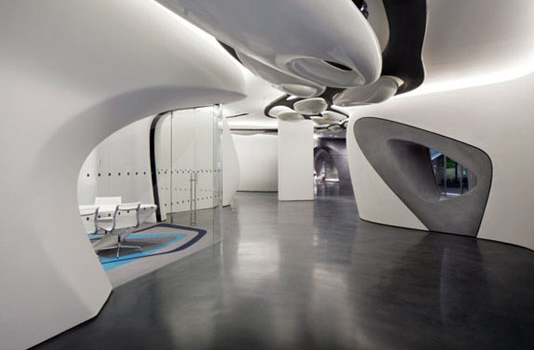 Deisgned by the artitects of Zaha Hadid Architecture, they describe the space as the place “where a fluid architectural space meets innovative Roca products“.